Bollywood’s newbie Sara Ali Khan has taken the internet by storm after delivering hits one after another Simmba and Kedarnath. The star kid is one of the most talked about celebrities these days owing to her striking features and amazing sartorial choice. 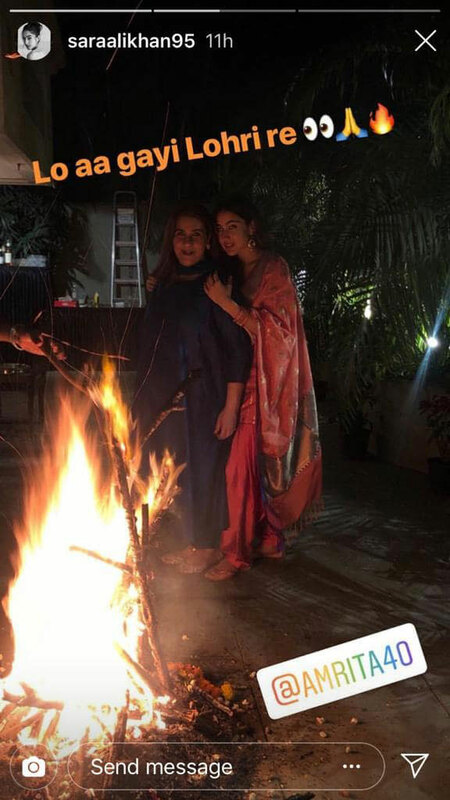 The actress was seen celebrating Lohri on Sunday – a Punjabi folk festival that commemorates the passing of the winter solstice – along with mother Amrita Singh and fashion designer Sandeep Khosla. 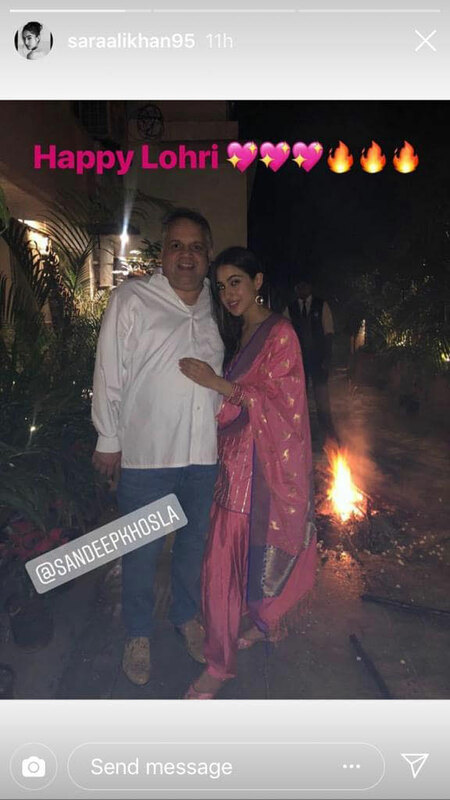 Sandeep Khosla had organised an intimate party to celebrate his niece Saudamini Mattu's first Lohri after she married Siddharth Bhandari. 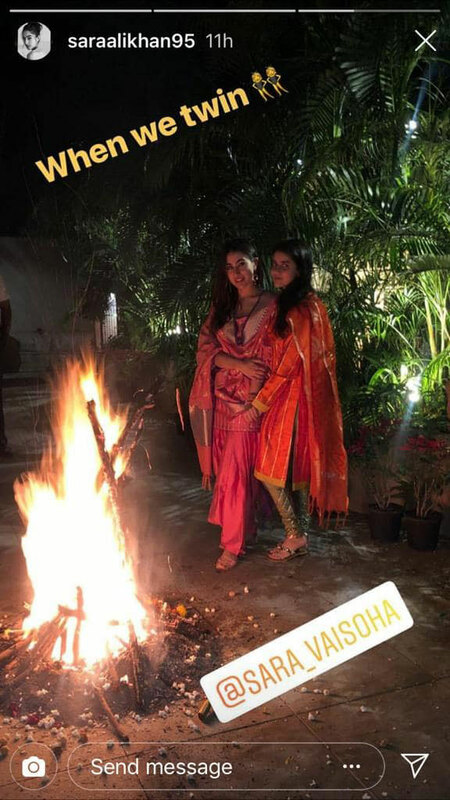 The pictures of the event were shared by Sara Ali Khan on Instagram stories and Sandeep Khosla himself. In the pictures, the young starlet looks gorgeous as she dons pink Patiala shalwar and short kurta combo. Meanwhile, her mother Amrita Singh opted for a blue outfit.